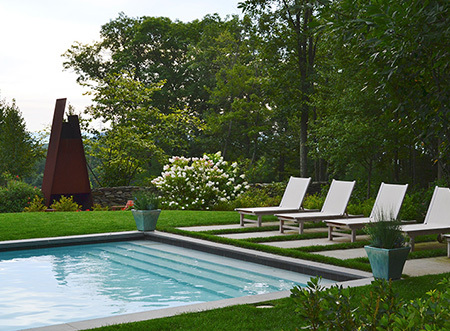 Our approach to landscape design is more architectural and less decorative. We believe good design is a result of the resolution of issues and not decoration. The design should be a reaction to the site and circumstance. What emotions will be evoked by the finished project? How does a surface feel underfoot? How are the textures provided by different plant materials assembled? How do we work with the sunlight and shadows on the site? How do we manipulate the site to create more dynamic and less static positions relative to eye movement? These are all important questions we ask ourselves on each site. Good design is more about what we feel, than what we see.